This article was originally published in the Advocate The Advocate (Texas) – Symposium on Decedents and Ward – Fall, 2009. It is intended to provide an overview of the real property foreclosure process in the probate context. The substance of the article assumes basic familiarity with the foreclosure process under the Texas Property Code and basic familiarity with the estate administration processes under the Texas Probate Code. Obviously, if no administration is opened within the requisite four-year period, the creditor’s foreclosure sale will remain valid. However a creditor should not have to wait until this four-year period is over in order to be free of all risk of having its foreclosure sale set aside. Waiting four years may be just as risky and uncertain as if the creditor had simply decided to move forward with foreclosure. Indeed, during a four-year period, the improvements on the real property will likely be subjected to neglect–even to the point of becoming substandard, dilapidated or otherwise unfit. Worse-case scenario: The condition of the improvements on the real property get to the point where costly renovation or demolition is required by the city in which the improvements and real property are located.18 In short, without an administration the value of the collateral securing the deceased debtor’s indebtedness is prejudiced and the value of the decedent’s estate is itself diminished. Still, while a creditor is included in the order of persons qualified to serve as an estate representative under Section 77 of the Texas Probate Code–and while it is true, e.g., as stated in Pearce, that a creditor “can force the opening of an administration or the payment of [its] claim”19–the commitment involved in handling all aspects of a formal administration may be cost-prohibitive in comparison to the value of the creditor’s claim. Thus, under the right circumstances, a creditor may petition the probate court to open a temporary administration under Section 131A of the Texas Probate Code20 with, e.g., the following limited powers for an appropriate duration not to exceed 180 days: (a) to take possession of the real property and improvements located at [location] (hereinafter “Property”); (b) to take all necessary steps to preserve and protect the Property, as the temporary administrator deems appropriate; and (c) after taking possession of the Property and taking the necessary steps to preserve and protect the Property, to affect (or allow *101 to be affected) the sale of the property under Section 51.002 of the Texas Property Code, with authority to accept all notices pertaining to the indebtedness and all notices pertaining to the foreclosure of the real property and improvements on behalf of the estate. To comply with the requirements of a valid (and verified) application underSection 131A of the Texas Probate Code (and Section 81 or 82 of the Texas Probate Code, as appropriate), the creditor’s attorney will necessarily have to undertake a rigorous investigation of the attendant facts and circumstances. Fortunately, this pre-application investigation sometimes results identifying relatives of the decedent who may be willing to open the administration of the decedent’s estate–in which case the creditor is relieved of having to open the administration itself, and instead is now able to simply move though the probate claims process as in other cases. Still, even if the decedent’s relatives are unwilling to open the administration of the decedent’s estate, communication with these relatives will likely be a critical step for the creditor’s attorney in obtaining some of the information (or, better yet, the sworn testimony) necessary to move forward with the creditor’s application for temporary administration. Additional preliminary matters recommended before a creditor’s attorney submits an application for temporary administration: (a) obtain an updated appraisal of the subject property–not just for the purposes of the application, but also to determine a proper bid amount if/when a trustee’s sale takes place; (b) order a title run to identify all mortgagees and lienholders of the subject property; and (c), given the nature of the powers sought, the creditor’s attorney should also identify (perhaps with the assistance of the court at the hearing on the application for temporary administration) a qualified local attorney who might be willing to serve as an attorney ad litem for unknown heirs. If the court grants the creditor’s application for temporary administration, in addition to setting forth the matters under Section 131A(c) of the Texas Probate Code, the order should specifically list all powers and duties of the temporary administrator because any act taken by the temporary administrator beyond these powers and duties is void.26 What’s more, the appointee’s obligation to notify the mortgagees and lienholders of the subject property (and other known creditors) should be set forth in the order. However, given the purposes of the temporary administration contemplated in this article, whether a temporary administrator must file an inventory is questionable. Thus, if an inventory is desired, it is advisable to state that requirement in the order as well. Admittedly, utilizing the temporary administration process under the circumstances described in this article is not appropriate in every case. However, until the legislature provides for a different vehicle, utilization of the temporary administration process is sometimes the only feasible option for both the creditor and the deceased debtor’s estate. Josh White is a shareholder at the law firm of Haley & Olson, P.C. Mr. White focuses his practice on the litigation of creditor’s rights, business and construction-related claims. See Pearce v. Stokes, 291 S.W.2d 309 (Tex. 1956) (when an administration is opened on the estate of a deceased mortgagor a sale made while the administration is pending is void because the opening of the administration suspends the power of sale). TEX. PROB. CODE § 331. Pearce, 291 S.W.2d at 310. Id. (citing Martin v. Harrison, 2 Tex. 456 (1847) (holding that there was no error in prosecuting a claim against a surviving spouse to the full extent of his indebtedness, and to obtain satisfaction from the mortgaged property, to the extent of such surviving spouse’s interest in the mortgaged property));see also Wiley v. Pinson, 23 Tex. 486 (1859) and Kruger v. Taylor, 27 S.W.2d 130 (Tex.Comm’n App. 1930, holding approved). See Taylor v. Williams, 108 S.W. 815 (Tex. 1908); see also Estrada v. Reed, 98 S.W.2d 1042, 1044 (Tex. Civ. App.–Amarillo 1936, writ ref’d) (when a mortgagor conveys his interest in property before he dies, his mortgagee’s power of sale is not revoked by the mortgagor’s death). See TEX. PROB. CODE § 306(a)(2) and (c). See TEX. PROB. CODE § 306(a)(2) and (c); see also Wyatt v. Morse, 102 S.W.2d 396, 398-99 (1937). See Fenimore v. Gonzales County Sav. & Loan Assoc., 650 S.W.2d 213, 214 (Tex. App.–San Antonio 1983, writ ref’d, n.r.e.). As a caveat, the court inFenimore emphasized the distinction between a “notice of acceleration” from the later “notice of trustee’s sale.” Id. at 215. 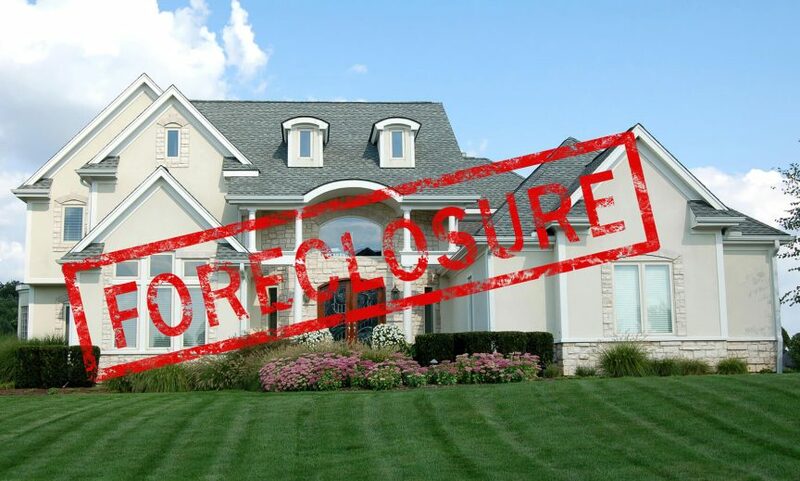 Specifically, under Texas law, the authority to move forward with foreclosure depends “not only upon regularity of the notice of sale but also upon [the] propriety and validity of the antecedent notice of acceleration.” Id. (citing Lockwood v. Lisby, 476 S.W.2d 871, 873 (Tex. Civ. App.–Fort Worth 1972, writ ref’d n.r.e.)). See TEX. PROB. CODE § 306(c); see also Wyatt, 102 S.W.2d at 398-99. American Savings & Loan Assoc. v. Jones, 482 S.W.2d 62, 63 (Tex. App.–Houston [14th Dist.] 1972, writ ref’d n.r.e.) (citing Pearce v. Stokes, 291 S.W.2d 309 (Tex. 1956)). Freece v. Truskett, 106 S.W.2d 675, 677 (Tex. 1937) (citing Wiener v. Zweib, 141 S.W. 771, 776 (Tex. 1911) (holding that when no administration for the subject estate was opened and after the lapse of four years a sale under a deed of trust after the death of the mortgagor, but before the lapse of four years, was valid.)). See, e.g., TEX. LOCAL GOV’T CODE 214.001, et seq. Pearce v. Stokes, 291 S.W.2d 309, 312 (Tex. 1956). The processes up to, including, and after a temporary administrator’s appointment are detailed in Sections 131A (appointment of temporary administrators), 133 (powers of temporary administrators), 134 (accounting), and 135 (closing) of the Texas Probate Code. Anyone not otherwise disqualified by law, including creditors, may file an application for the appointment of a temporary administrator. See TEX. PROB. CODE 131A(b);Beall v. Cooke, 2001 Tex. App. LEXIS 4141 (Tex. App.–Houston [1st Dist.] 2001, no pet. h.) (not designated for publication) (citing Nelson v. Neal, 787 S.W.2d 343, 344-45 (Tex. 1990) and further explaining that, in Harris County, the procedure to make a claim against an estate when no one has qualified as executor or administrator, is to petition the probate court to appoint a temporary administrator for the estate). Nelson v. Neal, 787 S.W.2d 343, 346 (Tex. 1990) (citing Ex parte Lindley, 354 S.W.2d 364, 366 (Tex. 1962)). Id. (citing and recommending for comparison Ex parte Lindley, 354 S.W.2d at 366 with Texas Aeronautics Comm’n v. Betts, 469 S.W.2d 394, 398 (Tex. 1971)). See TEX. PROB. CODE § 133(a); see also Bandy v. First State Bank, Overton, Tex., 835 S.W.2d 609, 615 (Tex. 1992).